This a nice old clunker. I think this is a ref. 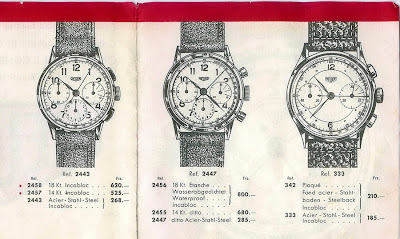 2457 as pictured in a 1946 Heuer catalogue. 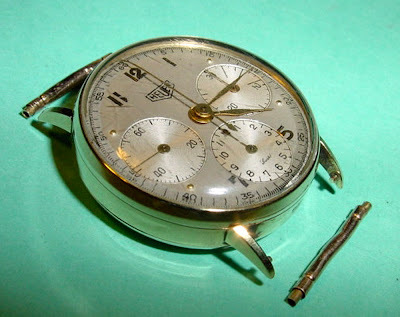 I got these pictures from Classic Heuers reader Michael Carlson from Sweden. He got this nice watch from his old uncle. He bought it new in Germany in the 1940s. 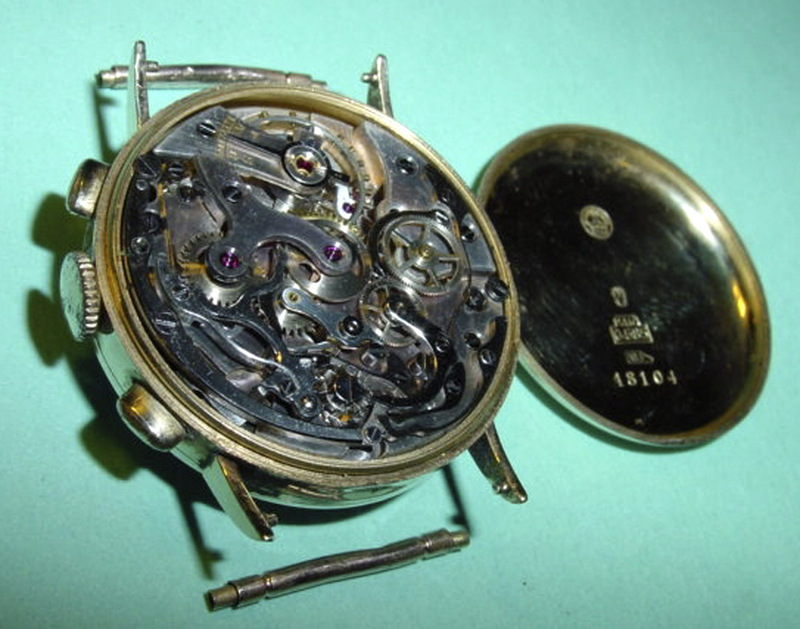 The movement is most likely Valjoux 72, or it might be Valjoux 71. I am not 100% sure. I need a better picture to be certain. 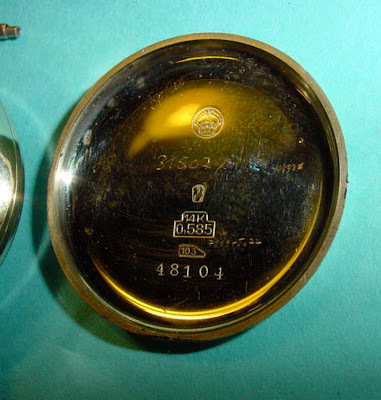 The caseback is stamped 14K and 585 gold. The movement is not signed, this is probably not a problem. 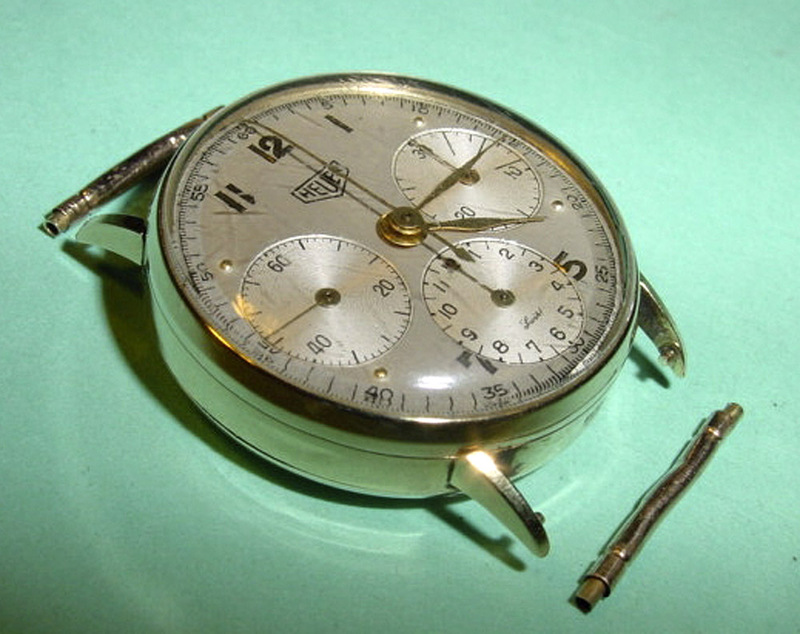 Early Heuers did not have signed movement. It was not until after 1945 that all movement was signed. 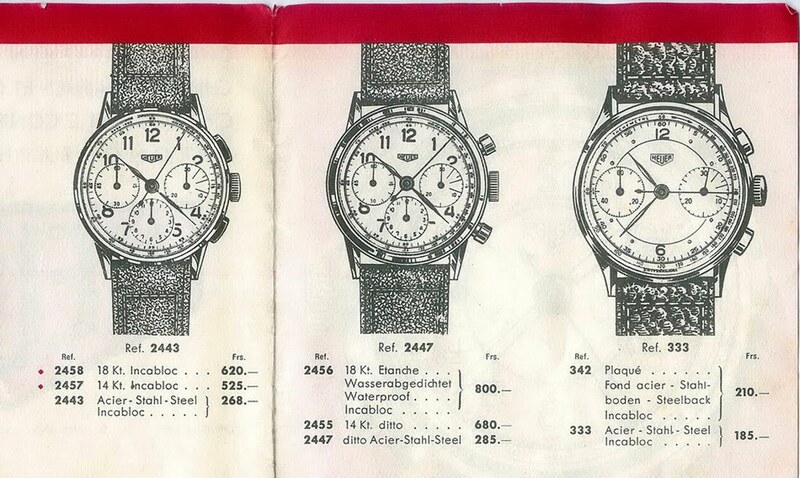 Ref 2457 is pictured on the left 1946 Heuer catalogue.